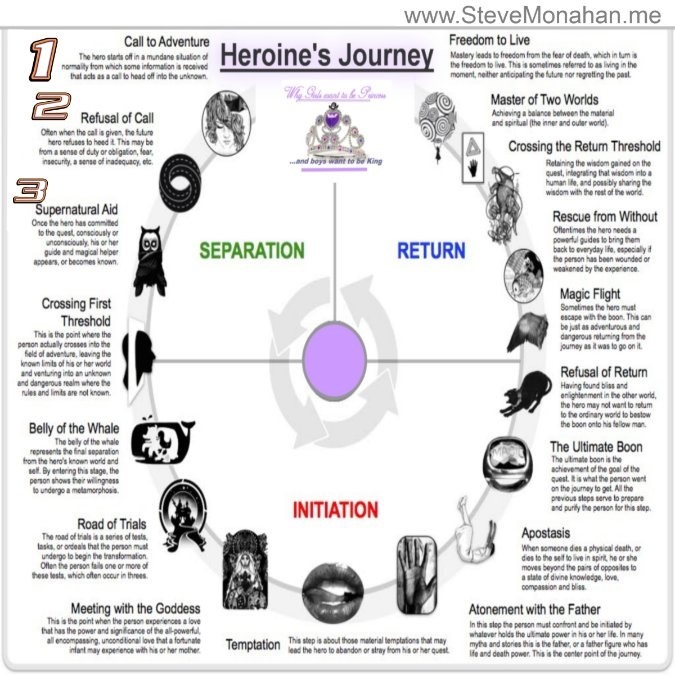 I’ve recently finished a wonderful online course teaching one method for structuring a heroine’s journey. The problem with female characters – and male characters who are following an internal transition arc – is that I find they often don’t fit well in the typical Hero’s Journey. But there’s a secondary issue here – a heroine’s journey isn’t as clear-cut as I perhaps wanted it to be. The Heroine’s Journey – Is it Needed? ‘The Hero’s Journey’ – was defined by one/two books only – Joseph Campbell‘s notion of “the hero’s journey” or “the monomyth” from his book, ‘The Hero with a Thousand Faces’ and Christopher Vogler, from the book ‘The Writer’s Journey: Mythic Structure for Writers’. Since then you can find it everywhere – infographics and diagrams all across the web, explained regularly across the blogosphere somewhere, as templates, beat sheets, lists and taught through our educational systems and beginner writer workshops. But a Heroine’s Journey isn’t as clearly cut – there are at least five, probably more heroine’s journeys out there, and for a long while, even less diagrams or blog posts explaining these structures. Thankfully, more and more information is now being shared as writers create female main characters, and like me, seek alternative narrative structures. But is a heroine’s journey really needed? The Fangirl blog also has several posts on strong female characters, and a series on Steampunk for Heroines. Scott Myers – The Heroine’s Journey Part 1 , Part 2, Part 3 and Part 4 – in Part 1 he links to several hard-hitting articles by female journalists discussing the need to look at our heroines, and the possible rise of the “Shero” in characters like Katniss Everdeen. Note that Kim Hudson comments on the Part 1 post; in Part 2 he discusses Valerie Frankel’s Heroines’ Journey, and in Part 3 Hudson’s The Virgins Promise is discussed. Heroine with a Thousand Faces: The Rise of the Female Savior by Lynn Stuart Parramore. ‘Heroines of Film and Television: Portrayals in Popular Culture’ by Norma Jones (this book suggests in Chapter 5 that Harry Potter is a female heroine type, given he conquers with love). Recently there has been a lot of media and web interest on the topic, some as a backlash against Joseph Campbell’s original stance that a female doesn’t need a journey (as they are the home the hero returns to). But Campbell’s work was originally published in 1949, and should be seen as an example from those times. More interest has derived from our recent and welcomed movies and books featuring strong female lead characters. But the debates continue over whether Katniss Everdeen et el are actually strong females with or without agency or whether our newest female examples are on a heroine or hero’s journey. There are several writers – including female writers – who don’t agree with the need for a differentiation based on gender. Their arguments may include the fact that we are, in essence, talking about an external journey vs an internal journey OR a plot-driven vs a character-driven story. But as we know it’s not a this vs that situation – most good stories should and usually include both anyway. Even epic hero’s journeys found in the more visual film mediums still involve a hero’s change, which must include a psychological or internal change. 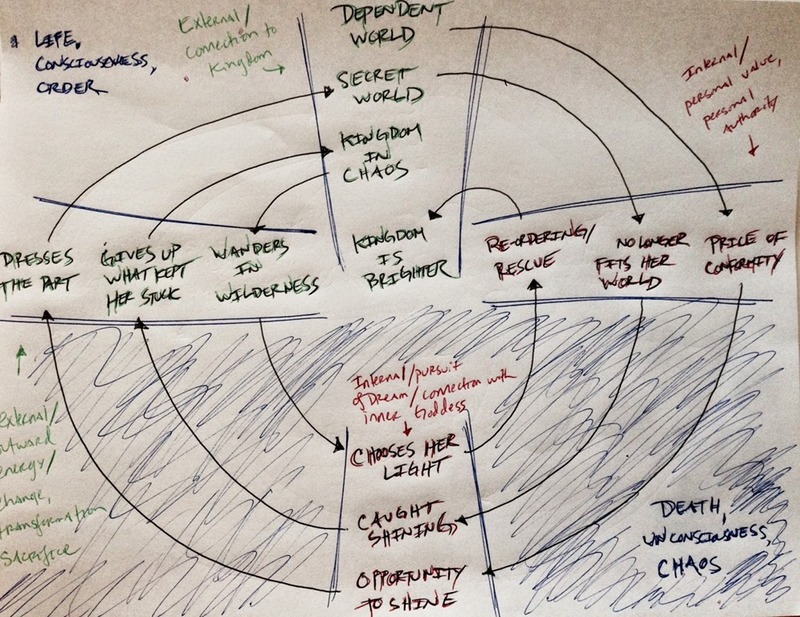 Michael Hauge’s 6 Stage Plot Structure emphasizes an internal journey alongside the external. Some Hero’s Journey diagrams such as that below (by Drammatica) also have an inner character arc alongside the external journey. Looking at it from a gender role, the Heroine’s Journeys described below are as useful for male characters as female – in fact in the first journey detailed below by Maureen Murdock, the Mythcreants have used the narrative structure to analyse several male villains. They are a spiritual or an inner journey towards internal growth. There are a lot of spiritual mother-earth or goddess type archetypes through some of these journeys. They are cyclic just as the hero’s journey is. Most come from books that at some point have been described or catergorised as coming from a feminist/psychological stance rather than sitting as outright narrative structure. In fact, a couple of the authors of the books sourced below are Psychologists who have since found some work teaching their custom journeys to a writer audience. Most provide some archetypal female characters in several forms – both good and bad girls. This makes a nice change from Joseph Campbell’s singular “Goddess”. There is a link with our common folk or fairy tales. Several writers suggest The Hero’s Journey is largely derived from mythological archetypes whereas The Heroine’s Journey has come from our folk or fairy tales. There are many differences between myths and folk/fairy tales, of course, but one chief distinction is that myths focus on themes of obligation and place in the world whilst fairy tales concentrate on self – worth and identity. Masculine heroes do things they need to, or are obligated to do – with their brains. Feminine heroines do things they want to do – with their hearts. 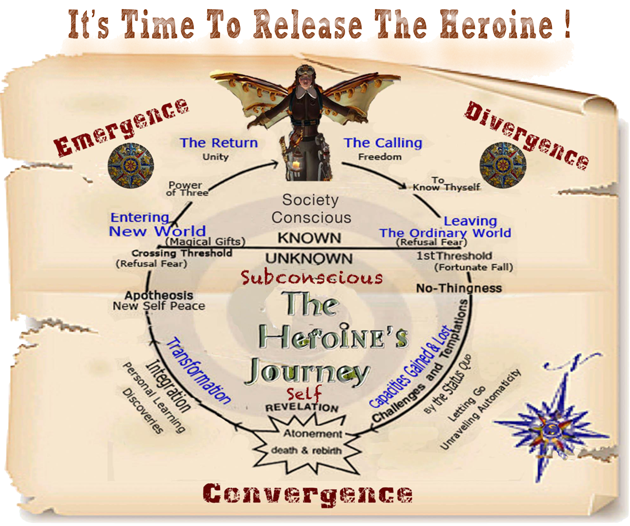 The Heroines Journey differs from the hero’s journey in one other major aspect – a heroine’s journey isn’t about an epic action adventure (the external journey) into a different world, then returning; it’s about changing the world around them – perhaps slowly and by changing their selves from a state of being dependent on some aspect of that world, to a state of independence and happiness. So, all of that may not answer the hairy question on the table – do we need a Heroine’s Journey at all? My own response is that I like the choice, and alternative views that these structures give me. These structures can supplement and/or complement each other, and are relevant to both female or male – or non-gender-specific characters. 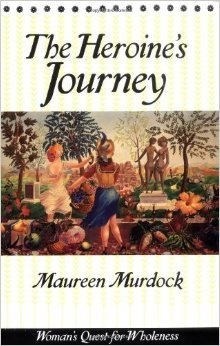 Maureen Murdock’s interpretation of a Heroine’s Journey is perhaps the best known, and credited as the originator of the concept of a female journey. It is linked to from Vogler’s The Writer’s Journey website. Murdock describes the heroine quest cycle through the UnderWorld descent and resurrection stories of Greek goddess Persephone and Sumerian goddess Inanna. 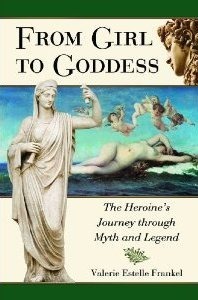 When researching ‘the heroine’s journey’ Inanna’s name – in particular – often pops up. 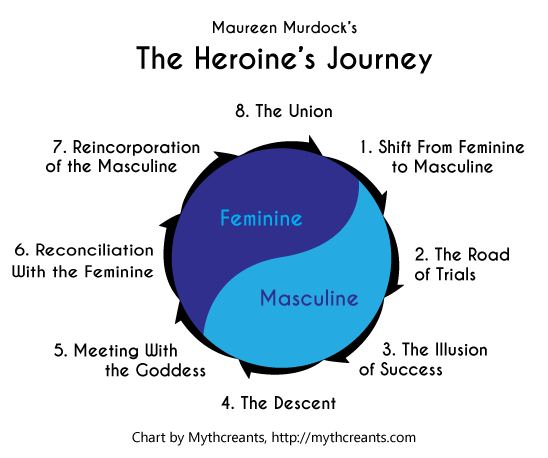 Murdock continues to offer classes for writers teaching her structure based on her book ‘The Heroine’s Journey: Woman’s Quest for Wholeness’ (there is also a workbook), and her website has a few links to associated articles published across the web, including this one – Paging Joseph Campbell where Murdock’s cyclical structure is introduced. Laurie Schnebly Campbell teaches a couple of writing workshops now on the Heroine’s Journey found in Kim Hudson‘s book ‘The Virgin’s Promise’. The Hero’s Journey also likes this particular structure, the book contains a forward from Christopher Vogler. Hudson’s website is found here – but the domain has never been renewed. Click on the X to get rid of the warning text to see the full site. Hudson’s Teaching Support Materials page provides details of the 13 steps, and 12 core female archetypes. 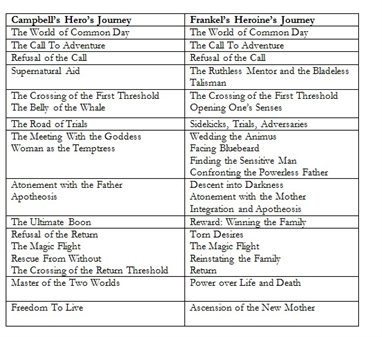 This page also links the Heroine’s Journey structure from The Virgin’s Promise with that of fairy tales (more on fairy tales below), and with some well known film examples. Here, at The Writer’s Store, Hudson explains the structure linking it with several well known movies. As Schnebly Campbell defines this, this internal journey can also be for male characters (call it ‘The Prince’s Promise’ in this respect) and can lead to the motivation through the story, conflicts towards the character goals, and a very thourough working of the character’s flaw. Schnebly Campbell’s recent course is the one I just completed, and found extremely beneficial for understanding many of my own characters. 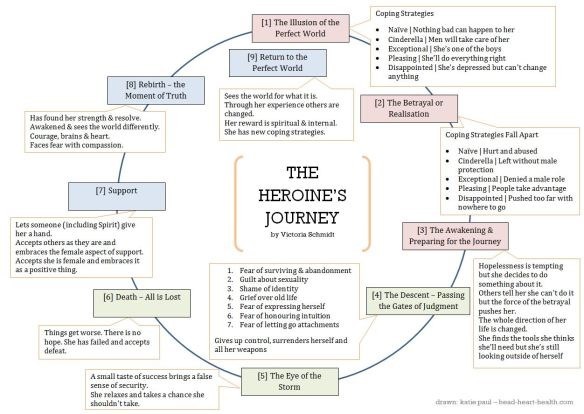 Laurie has mapped 13 different steps in this Heroine’s Journey (compared to Vogler’s 12), and through her courses offers a template of these steps through the story structure. These map extremely well with the Hero’s Journey steps but add in additional details like “dressing for the part”. Having already outlined my own work through the hero’s journey I found using the Heroine’s Journey taught here allowed me to stretch my outline in ways I’d not seen before (even working backwards in one part of the class). Using the Heroine’s Journey for Inner Conflict – Writers in the Storm. Her Bonus Step – Romancing the Genres. 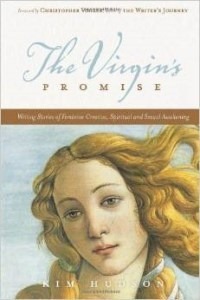 Also, Christopher Husberg has blogged a two part series on The Virgin’s Promise in which he uses Vogler’s forword in the book to elaborate the Heroine’s Journey as an inward spiral. 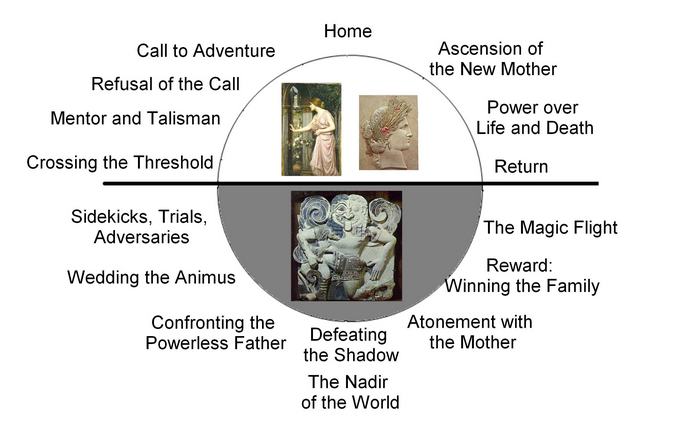 Husberg used this definition to form a hand-drawn diagram of The Virgin’s Promise (below) – which is the only diagram or graphic I can find of the actual structure. The Part Two of these posts contains two hand-drawn diagrams. In the one featured below, The Virgin’s Promise has been incorporated into Dan Harmon’s famous story structure also. Frankel has two books (amongst many other parodies and fanfiction works based on later day fiction) based on this premise – ‘From Girl to Goddess‘ and ‘A Girl’s Guide to The Heroine’s Journey‘ – both books focus on re-tellings of ancient or native myths. 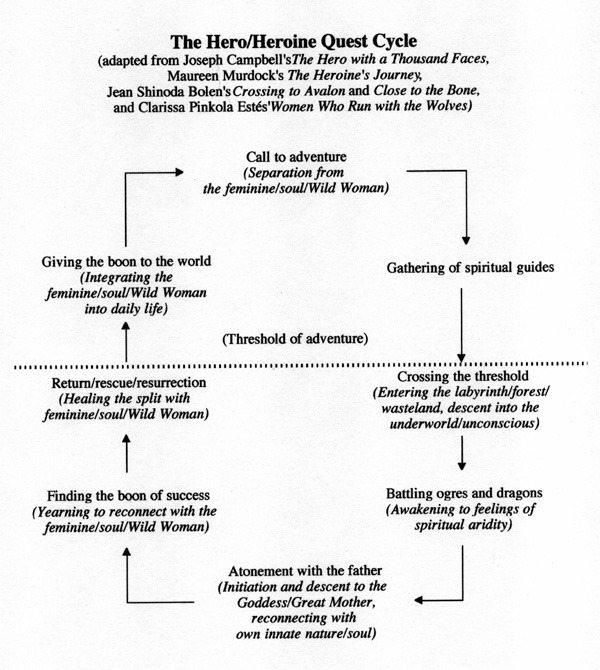 a table mapping Frenkel’s Heroine’s Journey with that of The Hero’s Journey. 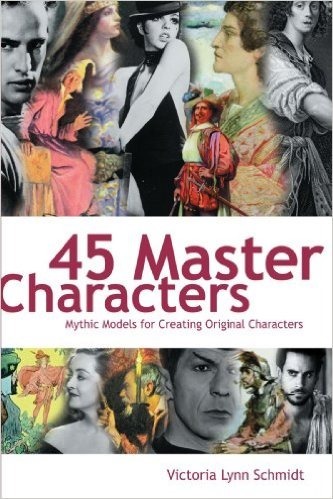 In ‘45 Master Characters: Mythic Models for Creating Original Characters’, Victoria Lynn Schmidt distinguishes the Heroine’s Journey from Joseph Campbell’s Hero’s Journey. Her Heroine’s Journey is similar to Maureen Murdock’s arc but offers nine stages; several with greater details. The book also contains seven female archetypes. A criticism of Murdock’s work is that the book was written for women and therapists, offering help through various life changes, whereas Schmidt’s work is focused specifically for writers. Here, blogger Flutiebear describes Schmidt’s Heroine’s Journey in two posts : Part 1 and Part 2. The diagram and description comes from artist and writer Ookami Kasumi’s article found here, but this full article is also published on Goodreads by Morgan Hawkes with no credits, and you may find the diagram peppered across other websites and Pinterest without credit. There are Thirteen stages in the Fairy Tale Heroine’s Journey. Thirteen hours in her clock of adventure – one for each full moon in a year. 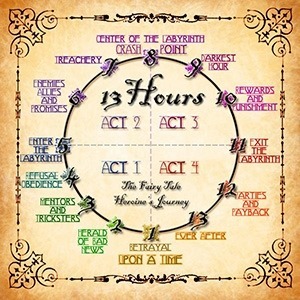 These 13 steps or hours are described here, including fairy tale examples, and some archetypal characters. The steps also have a commonality with The Hero’s Journey, although in some cases are reversed – for instance, it’s suggested that instead of Refusing the Call (to adventure), the fairy tale heroine will be Obedient to the Call. In a similar vein, Theodora Goss made some links between fairy tales and a heroine’s journey in a series of posts. Here is a recent post – Heroine’s Journey: Leaving Home. At the post bottom Goss links to the previous blogs in the series. In Gosses’ 12 Steps (below), there are many similarities with those found featured in several structures above, around internal growth and identity. 8. The heroine dies or is in disguise. 9. The heroine is revived or recognized. 10. The heroine finds her true partner. 11. The heroine enters her permanent home. 12. The heroine’s tormentors are punished. In some cases the diagrams below have been shared across the internet so often that the originator to credit is lost. If you do know who created these, please contact me so that I can credit fairly. The Healing Journey contains aspects from both The Hero’s Journey and a Heroine’s Journey, and may also be useful for characters going through grief or (acceptance of) mental health issues. Via: The Heroine Journeys Project, Pictorial drawing of healing journey from Buddhist Library website. Note – the above graphic is a simple relabelling of one entitled “The 17 Stages of Joseph Cambell’s Monomyth” which in turn has almost lost it’s originator credit, but may have been created by www.royalsocietyofaccountplanning.blogspot.com (a planning parody blog) based on the Monomyth wikipedia page. Heroine’s Journey Worksheet – this PDF (direct link) is by Camy Tang and built from Murdock and Schmidt’s works as a series of questions. The Heroine Journeys Project is a website which provides analysis of stories to a heroine’s journey – they use Murdock and Schmidts (both below) plus a Healing Journey, and provide local presentations and workshops on the topic. The Heroine’s Journey Podcast celebrates female geekiness and characters. News and episode also on this Tumblr. I have to admit the post was too long to work through it completely but I find it extremely interesting and will probably have this in my tabs for weeks. I wonder (and I will test it) if I can apply this structure. What a comprehensive summing up, and some useful links. Thanks for this. Reblogged this on Amy Rae. I AM Super Grateful for YOU, for making this gorgeous compilation of resources. I’m a former multi-media creative producer and fiction writer who dove into her own Heroine’s Journey, left the computer geek life to work with real People. I am now writing a non-fict book about courage for creative women at the crossroads of Big Change. I’ve digested all of these various systems and am tempted to create my own mashup, cherry-picking from these various stages into a new ‘map’ of stages to meet the needs of my project. Q: would you feel comfortable doing that? Is that stepping too far into others’ vital work? I’d give massive credit and am fine asking permission for quotes, etc. Yes, I mashup all the time. Once you have an awareness of universal archetypes and story structures, you find yourself taking what you need from this knowledge and mashing into your own.